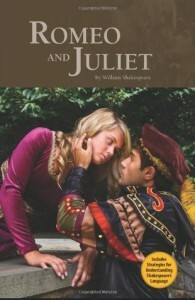 This is my first play and first time reading Shakespeare. I wanted to read this after reading [b:Romeo x Juliet Omnibus|6746528|Romeo x Juliet Omnibus|COM|http://d202m5krfqbpi5.cloudfront.net/books/1344270245s/6746528.jpg|6942952], which is based on the play.I borrowed two Romeo and Juliet books from the library, this one and the spark notes one, but I actually didn't need the spark notes one. I could understand what was being said quite well and so I didn't need to read it in modern English.The story is sad, but I really did like it. It's about learning to forgive, love and much more. At some point, I'd like to read more by William Shakespeare.